Tagalog folk songs are an important part of the broader musical culture in the Philippines. Although in recent years pop and hip hop music with Tagalog lyrics has tended to replace the traditional folk songs on Filipino radio, the folk tradition is still alive and thriving. When talking about Tagalog folk music, it is important to understand first and foremost that Tagalog refers most specifically to the language of the lyrics of the song rather than the musical style. Several different folk subgenres in the Philippines with very different musical styles are sung in Tagalog and therefore can be considered to be Tagalog folk songs. Musically and thematically, Filipino folk music is extremely varied. Of course, the term "folk" music comes from the idea that it is the music of the "common folk," and this holds true in the Philippines. Lyrically, the songs tend to draw from rural life for inspiration - think of everything from descriptions of rural surroundings to realities of rural work and life to rural cultural traditions that impact romantic relationships. In this way, Filipino/Tagalog folk music is quite similar to folk music from other regions, but where it differs somewhat from other folk traditions like Scottish folk music or Russian folk music is that there is much more musical variety. 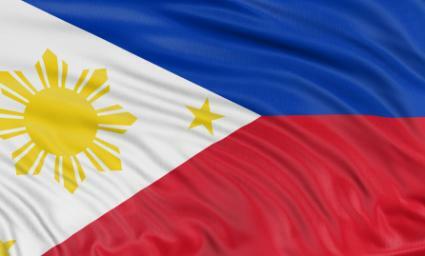 Filipino culture is a mix of Western and Eastern influences because of the history of colonization on the islands. Each group that passed through the country, from the Spanish to the Chinese, left their influence there. That is why one Tagalog song might sound decidedly European while another has clear Eastern influences. The Tagalog language is the unifying factor in most Filipino folk music. Of the traditional folk songs that were written down over the years, scholars estimate that at least 90% of them were written in one of the many dialects of Tagalog. The language in distant second is Spanish. In modern times, Tagalog folk music continues to be created. Other forms of music featuring Tagalog lyrics have also skyrocketed in popularity. Tagalog Lang - '"Tagalog Lang" translates to "Tagalog Only" and this site lives up to the name. Browse their database of not only Tagalog folk music but also other genres of music with Tagalog lyrics. Amazon - A lot of Tagalog folk music is difficult to find in MP3 format, especially older songs. However, much of the music HAS been recorded and released on CDs by various artists over the years. Amazon offers CDs by a host of artists recording Filipino folk songs, so browse their collections to hear samples and/or full length tracks. Although the selection is small, you can also find some Tagalog songs in the Amazon MP3 store.